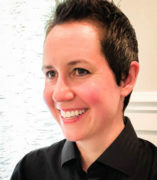 Robin Petrovic Gayle’s research and teaching interests include Social Justice Issues and the Intersections of Identities, with a focus on Queer Theory, Gender and Women Studies, and African American Studies. As an extension of these interests, she often teaches English Language Learners, first generation college students, and at-risk learners. In Gayle’s classes for developing writers, she brings contemporary social issues to the forefront: most recently, her course focused on African American Oppression and Resistance. Gayle’s academic research courses focus on Queer Theory, and she won the “Lecturer Distinguished Teaching Award: UIC First Year Writing Program” in 2017 for the developments she made to the curricula. In order to expand her reach beyond her classroom, Gayle has presented on queer topics to a variety of audiences including “Queer-y: A Q&A of Queer Questions for Undergraduates;” “Queering the Classroom: Creating LGBTQ Safe Spaces” for the First-Year Writing Program Professional Development Conferences; and “Queer Language Empowering Youth” for the Center on Halsted Youth Program. In addition to speaking about these issues, she has also e-published over 30 queer book reviews as well as a number of queer social commentary blogs. Finally, Gayle co-founded Gay for Good: Chicago, a volunteer organization, in 2011.